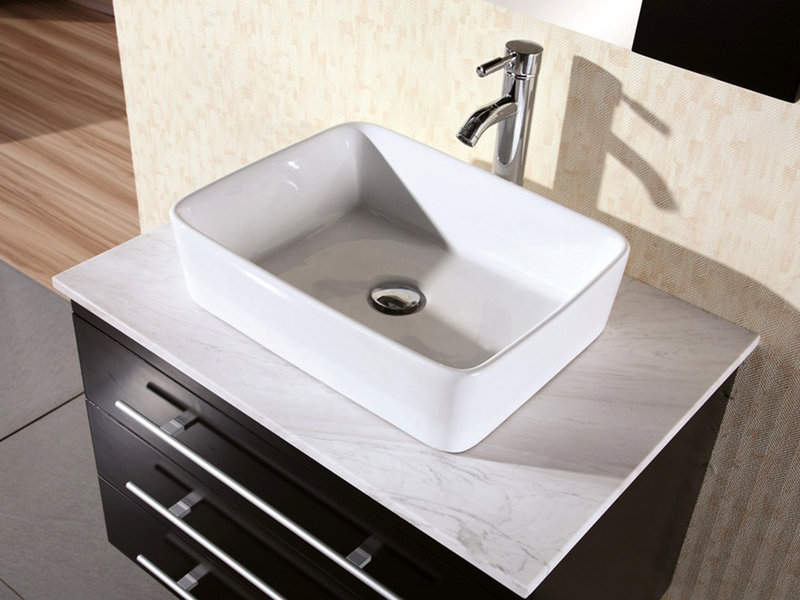 Elegance mixed with sophistication makes the 30" Portland Vessel Sink Vanity a gorgeous addition to any modern bathroom. 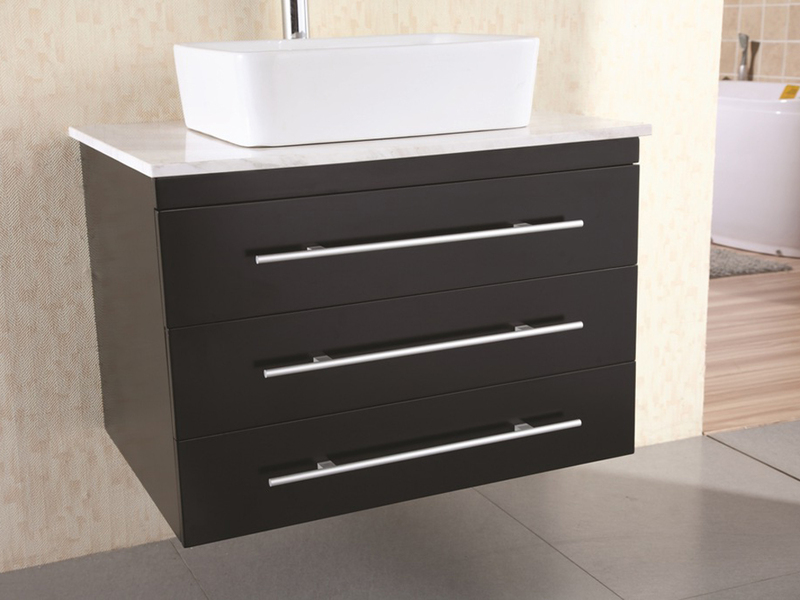 Featuring a solid wood cabinet that features a dark Espresso finish and 2 pull-out drawers that are fitted around the plumbing, the Portland Vanity offers storage space in a small vanity that can fit in virtually any bathroom. 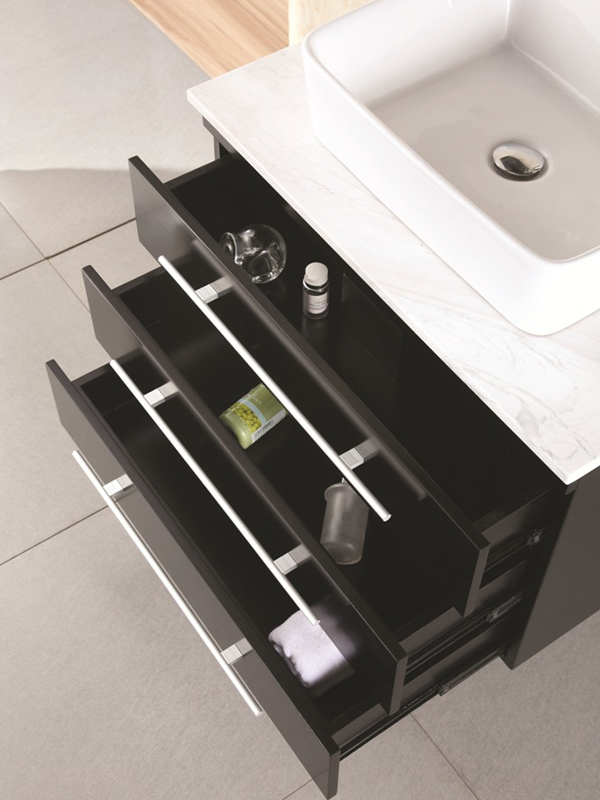 The top is made of carrera marble to give it a beautiful contrast to the deep Espresso cabinet, and is topped with a designer porcelain vessel sink. 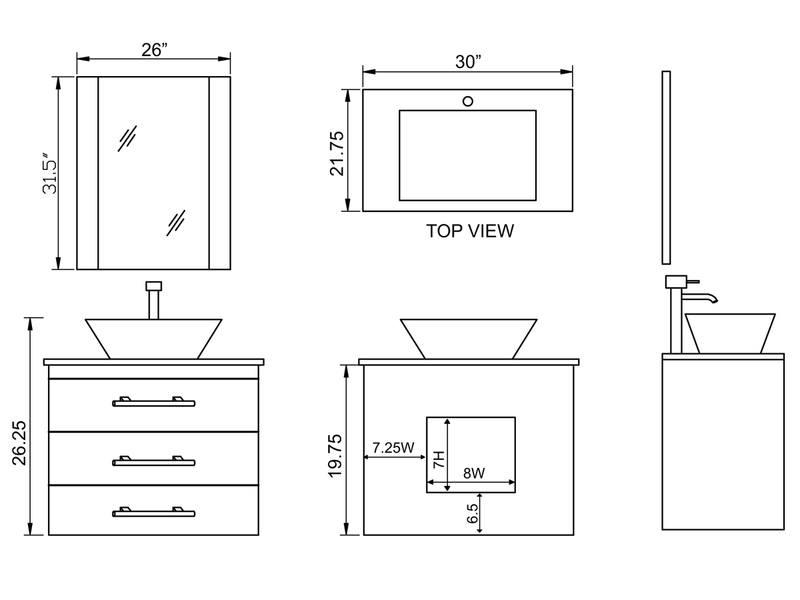 A mirror is also included with the Portland Vessel Sink Vanity to give you everything you need to turn your bathroom completely around in style!